There are a lot of decisions to make while creating a beautiful designer bathroom. All your choices will determine the outcome of your West Hollywood bathroom remodeling. 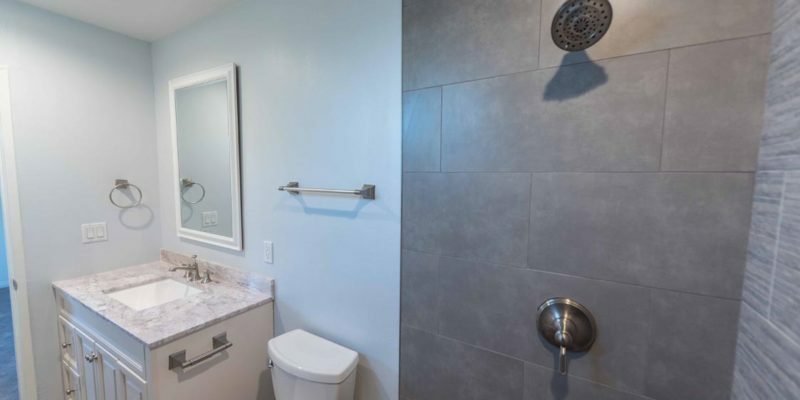 Regardless of your design style, with H&A My Design as your bathroom remodeling contractor, you’ll be thrilled with your bathroom for years to come. We’ll construct a dazzling bathroom that is even more spectacular than you imagined. H&A My Design covers all the details that will make your remodeling experience something you want to remember. Good bathroom remodeling starts with getting the best design for your home and everyday life. Our West Hollywood bathroom designers work with your ideas to deliver a perfect design package. We won’t miss anything because we know the smallest details are important to you. Let’s start planning your new bathroom remodel with our custom bathroom designers today. We are one of West Hollywood finest bathroom remodeling contractors. Our reputation was built on our dedication to the highest standards in bathroom remodeling. Your new stunning bathroom will be completed on time, on your budget. Did you know bathroom remodels actually can lend a hand with more energy efficiency? By taking advantage of the energy credits you can gain, you save money on utilities and add value to your home. We can take you through the process of deciding on all the fine detail for your bathroom remodeling. We know that it is very important for you to choose the right bathroom remodeling contractor. With H&A My Design, you get 25 years of remodeling experience. That is what you want on your project. Remodeling isn’t necessarily about increasing the floor plan. We have the experience to make the most of your existing space so you get the best use out of it. By considering ease of use, aesthetics, and of course storage, we strike a balance that will really improve your lifestyle. If you want to radically increase the space of your bathroom H&A My Design can build additional space with a room addition. Our bathroom remodeling designers work had to make the most of the useful area in your bathroom. We then create the designer facets you’ll really be proud of. By taking care of the practical side of the design you are free to be as creative as you choose with no limits. The finished bathroom will have all the features you want. This sensible approach is why we are an premier contractor for bathroom remodeling in West Hills. At the design phase, after we take care of the necessary facets, we focus on the fine points that will really customize the look and feel of your bathroom. It’s amazing to watch the small detail adding up to make your bathroom remodeling the only one of its kind. Talk with one of our designers and start asking questions about the potential. We’ll talk you through all the details and get on track with the ideas you’ve thought of so far. West Hollywood bathroom remodeling is about creating a bathroom that is a gorgeous living space. We do that really well. If you are thinking about bathroom remodeling this spring, just call H&A My Design.